Whenever you come across a problem, mind maps help you understand all the related issues and how they relate to each other visually. 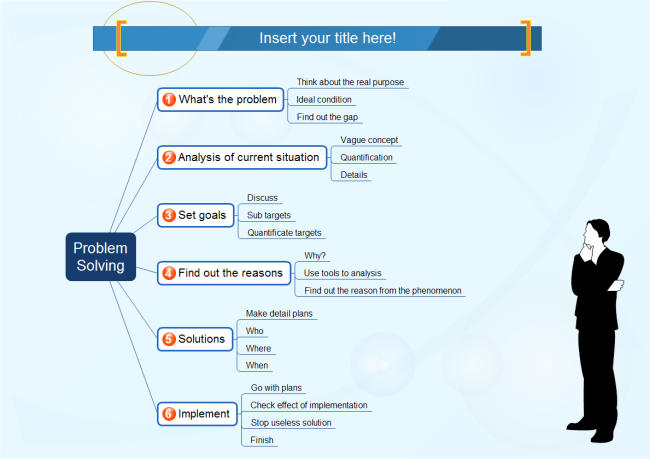 Through mind maps, you can find out the solutions for problems faster. They also help others quickly get an overview of how you see different respects of the situation. When seeking others' suggestions, you can add annotations into the map easily by clicking and typing directly. Firstly, place your problem in the center as your core idea. Then, have each branch represent each of the above questions. Thirdly, try to answer each question separately. When you are going through this process, you are actually having a deep and detailed analysis of as many relevant issues as possible. As you go through them, you may find a solution suddenly. 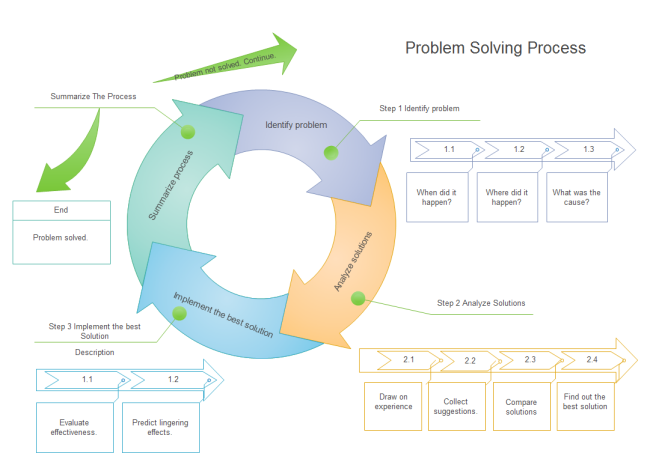 We can divide the process of problem solving into 6 steps as shown in the following example. 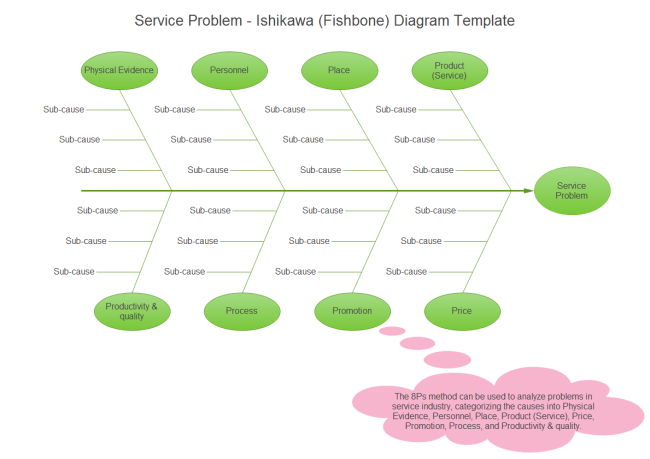 Besides problem solving, mind maps can be applied in many aspects. 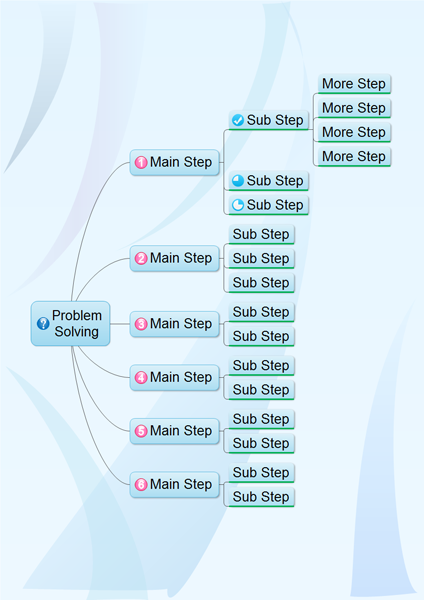 For example, mind map can facilitate class deliver. See some mind maps for teachers. We have also prepared some mind maps for marketers. Here are more visual tools that can aid your problem solving. They offer you new thinking ways to analyze a problem. Some present useful approaches.